It is easy to see the puppies as an amorphous block – a single set of uniform beliefs held by all the main puppy leaders informing their every action. That would be an error though and even a cursory glance at the multiple rationales for the SP’s actions shows a great deal of diversity of belief. 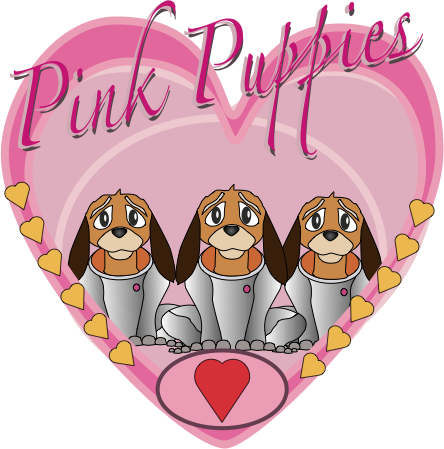 In reality the Sad Puppies as a movement have a lot in common with the tradition of populist movements in the United States. Such movements often make significant political gains with a show of apparent unity, only to seemingly evaporate when the various agendas, personalities and ideologies of key players in the movement assert themselves. So it shouldn’t be surprising to see quite different viewpoints on the roll of women ad the intersection between SF and Romance genres. The most extreme examples can be found by contrasting statements from some Sad Puppies with those of Rabid Puppies. he fear that someone who writes fantasy with a distinct romance bent might be nominated, much less win was so over the top. It was as if those making the complaint truly believes science fiction and fantasy are still pure genres. Obviously they haven’t read much lately. If they had, they would see that there is genre crossing all around. Yes, you can, with a lot of searching, find a pure hard science fiction novel, but they are few and far between. Fantasy has, for years, had some aspect of mystery or romance or the like in it. The mixing of genres, when done well, is a good thing. Pink SF is the dominant form of science fiction today. Or rather, more properly, the currently dominant form of SyFy. It is necrobestial love triangles. It is using the superficial trappings of science fiction or fantasy or war fiction to tell exactly the same sort of goopy, narcissistic female-oriented story that has already been told in ten thousand Harlequin novels and children’s tales and Hollywood comeuppance fantasies. Pink SF primarily concerns a) choosing between two lovers, b) being true to yourself, or c) enacting ex post facto revenge upon the badthinkers and meanies who made the author feel bad about herself at school. Pink SF is about feelings rather than ideas or actions. Pink SF is an invasion. Pink SF is a cancer. Pink SF is a parasitical perversion. For Day/Beale it as if even the mere hint of something ‘girly’ will contaminate his reading and render it unclean in the manner of some clause in Leviticus. What is notable is at this point pro-Romance Sad Puppies are not directing their ire at anti-Romance (actually anti-any hint of romance) Rabid Puppies. Long term these differences lead to populist movements dividing and mutating. Previous PostCamestros contemplates a ukuleleNext PostWhy Guardians?